The Fuschias is a cedar log cabin that accommodates up to 6 people. It is equipped with a large deck, central heating, a wood-burning stove, and a large bathroom with a walk in shower and deep bath. 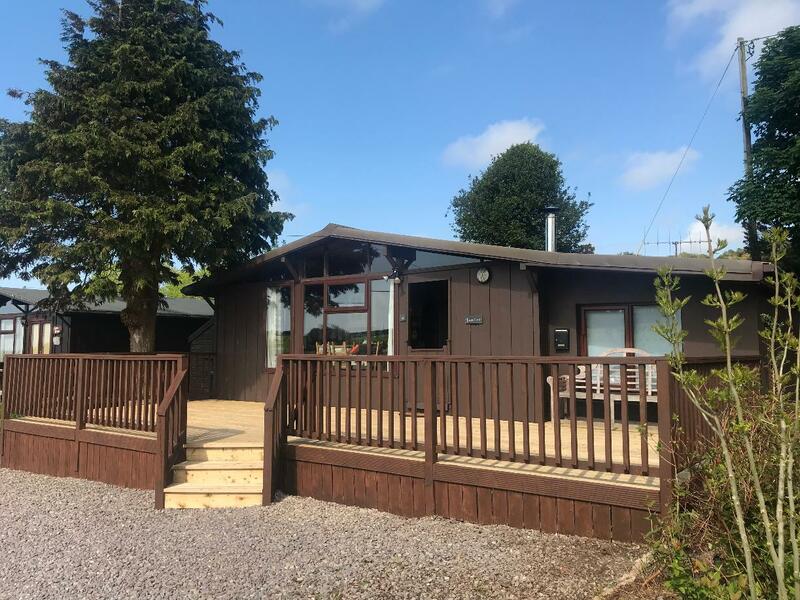 A 20 minute drive from Tralee along the Dingle Peninsula and near the village of Camp, The Fuschias is one of three cabins located in a valley between the Slieve Mish mountains and the sea. 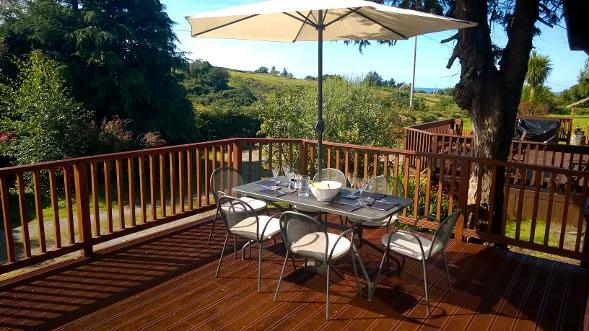 You can see the sea from the deck - it's a five minute drive away. The area is known for its hiking trails (it's on the Dingle Way), deserted sandy beaches, cycling, horse riding, surfing, fishing, and of course a warm welcome in all of the local hostelries.